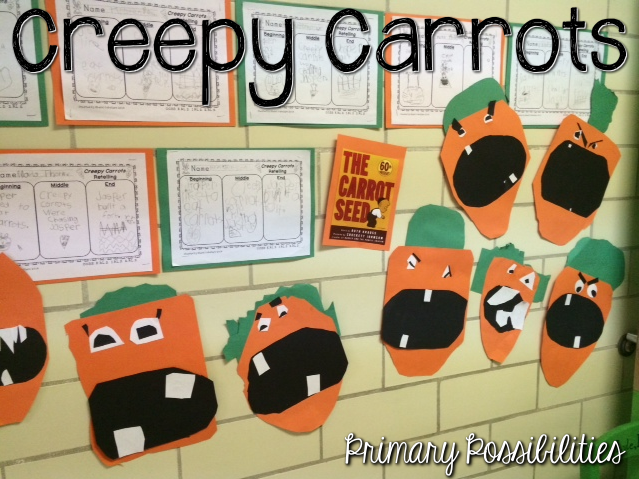 Carrots are so much fun to teach during my plant unit. 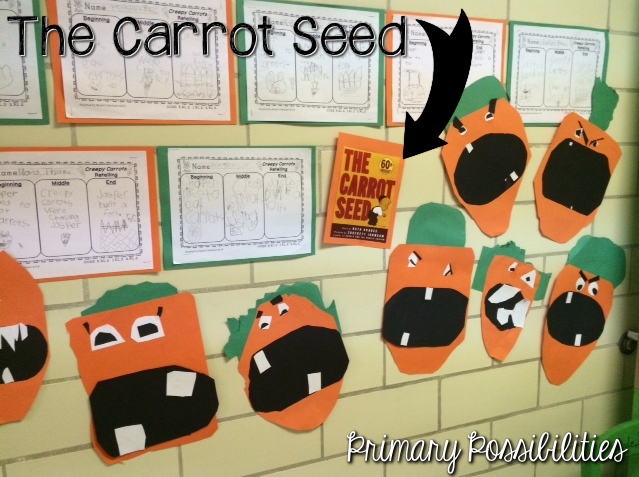 I love the story The Carrot Seed by Ruth Krauss. The pictures are simple. It is always a favorite of my kinders (and me). The Scholastic Book Fair was at our school this week. If your school is like mine, the Book Fair makes a lot of profit from the teachers in the building. I think I visited the Book Fair daily. I ended by buying Creepy Carrots by Aaron Reynolds. So I went searching... of course on TpT. 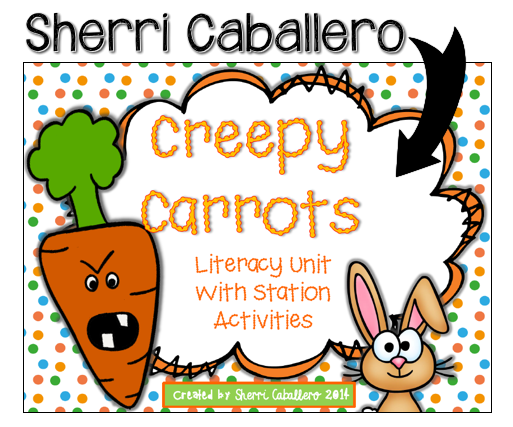 I found a unit called Creepy Carrots Literacy Activities and Stations by Sherri Caballero. I was so excited!! Not only that the price was unbeatable, but also because she is an incredible woman and teacher who lives just a few miles down the road from me!! Of course we had to have a craftivity!! 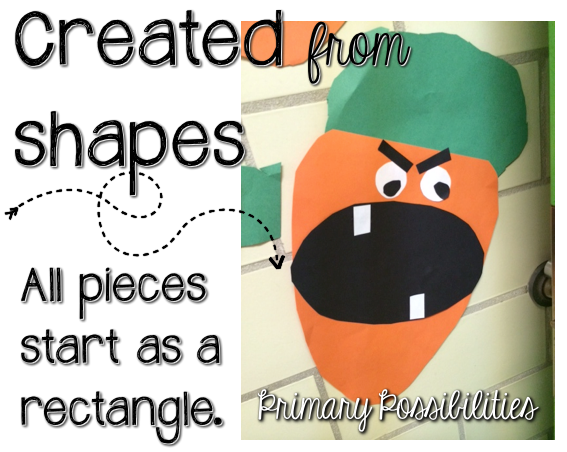 I cut rectangles out of construction paper and directed students how to make cuts until they ended up with this creation!! 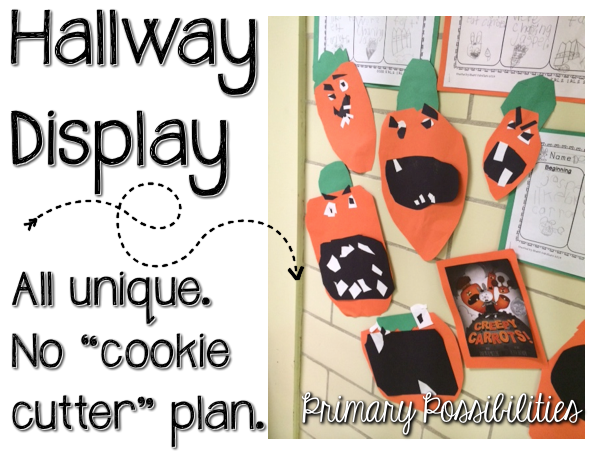 Debbie Clement always says that students should not have a cookie cutter design. I think she would enjoy our creations that are in the hallway this week! 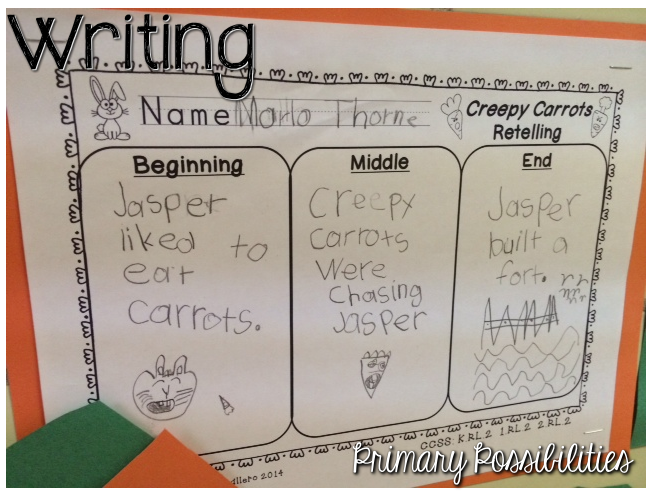 I was most impressed with student writing. Students worked hard and were engaged in their writing. 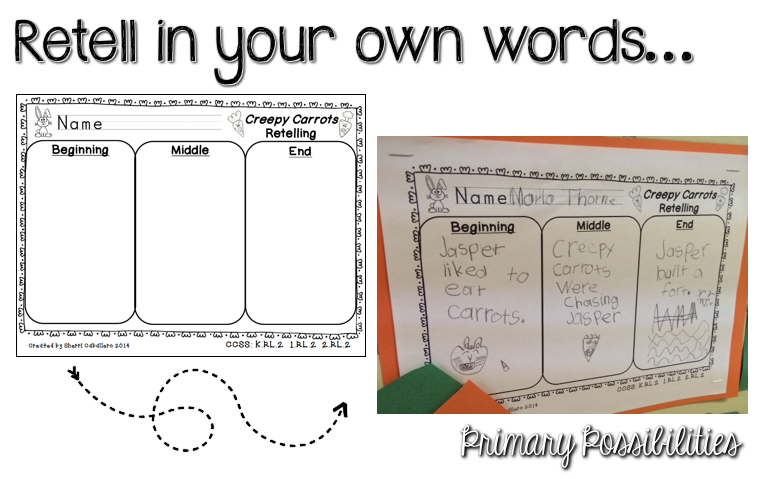 We used the beginning, middle, and end retelling sheet to retell the story. 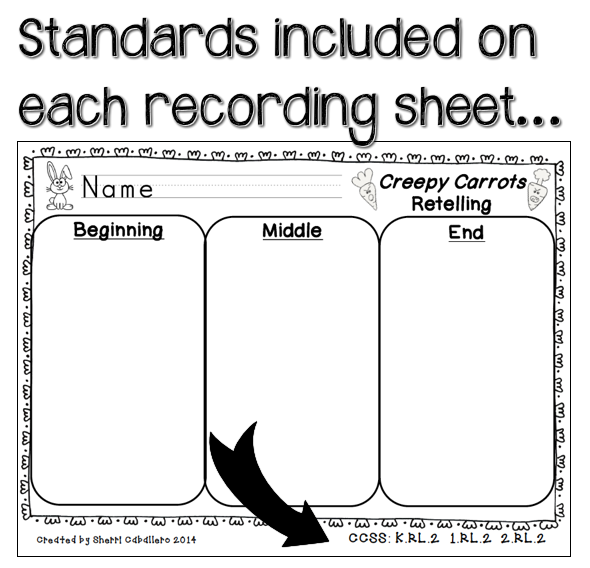 I also like how the standards are included on each page.